Sunday, 3 February 2019, 3:40p.m. "Energex called today … to obtain a meter reading but was unable to access the electricity meter because:" the printed note read. For instance, the premises may be locked up, a gate can't be opened, or an unrestrained dog threatens the safety of the tradie. Strangely, none of these reasons could adequately explain the worker's predicament, so he improvised. Instead, he ticked a box labelled: "Unsure if dog restrained", scratched out the word "dog" and replaced it with "chicken". He then explained the aggressive chicken had, in fact, "tried to peck me!" emphasising his dismay with a hand-drawn emoji. 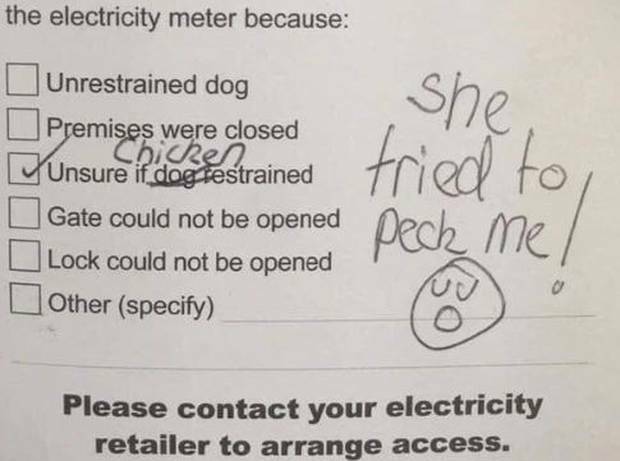 "Energex couldn't check my meter due to my chicken," the tenant wrote. 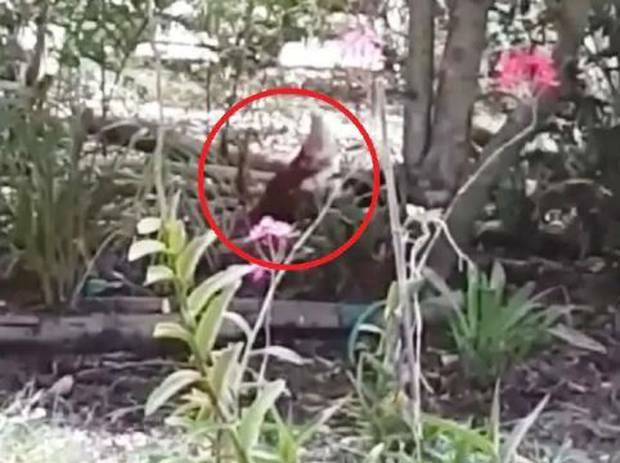 "My chicken just roams in my backyard; apparently he thought it was Big Bird." The resident also claimed their local "postie doesn't actually want to deliver my parcels" either, due to their chicken's aggressive behaviour. "You only have to see one killing a snake or mouse to understand that if they don't like you, they can inflict damage," one person wrote. Meanwhile other pet owners have also started posting their rejections including one woman whose meter couldn't be read because of her Ilama. 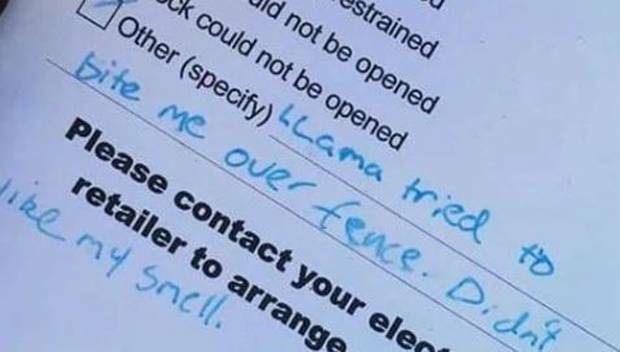 The technician ticked the "other" box and then wrote: "Ilama tried to bite me over the fence. Didn't like my smell". Another customer posted a photo of her rejection, next to a photo of her tiny dog, saying "my dog is smaller than the card left in my mailbox".